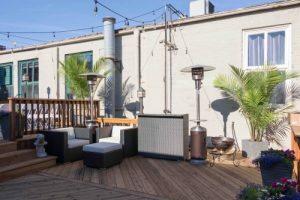 The Pitch Project is a unique and intimate place to host your next event, whether it be an important family gathering or a professional business meeting. 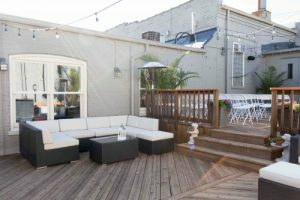 The space includes a beer lounge downstairs, an upstairs hall (pictured below), as well as a spacious second-floor outdoor patio (pictured below). 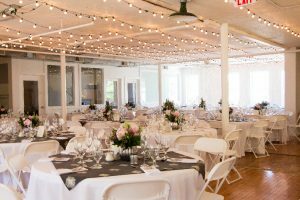 Whatever your event requires, The Pitch Project and Brenner’s Brewery can work with you. 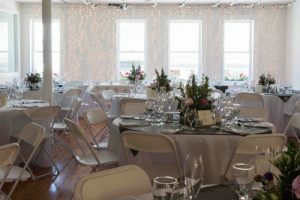 The second floor hall (pictured above) can fit a generous amount of dining tables as pictured or be left open for mingling or dancing. 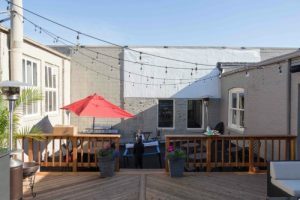 Plus, before the harsh Wisconsin winter hits, the patio is a different place to take advantage of the warm summer and enjoyable fall months. If interested please contact Brenner’s Brewery marketing manager Maggie Skinner for more information. The Pitch Project and Brenner’s Brewery hope to see you for your next event!